This product is featured in: VIDEO: Jeanneau Cap Camarat 9.0 twin test. The key to the success of the Jeanneau Cap Camarat 7.5 series two is its terrific Michael Peters designed deep-vee hull. Its ability to handle the rough stuff with comparative ease means that the version with a small cuddy cabin (called the WA, or walkaround) can genuinely be used for some reasonably intrepid cruising. 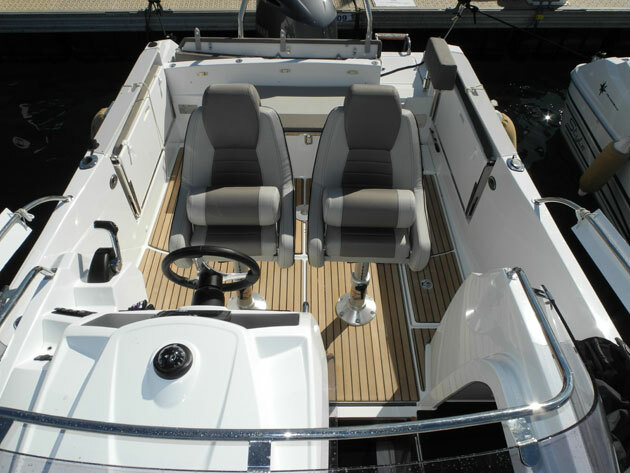 It elevates the 7.5 from what could be no more than a calm inshore waters day boat to an albeit small but competent cruiser suitable for the occasional blast around the coast to explore and overnight in different anchorages. 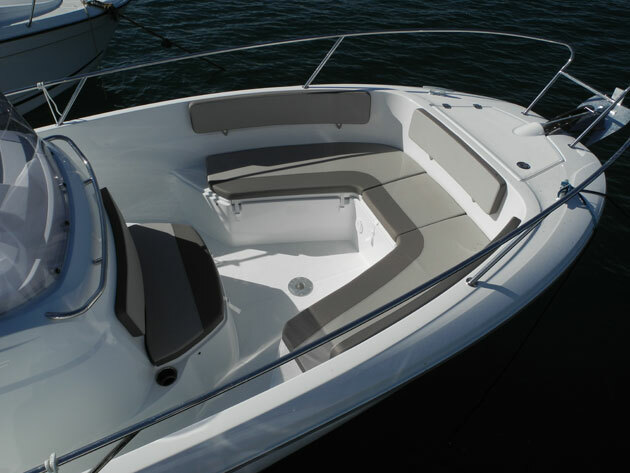 For those who absolutely don’t need the below-decks double berth and the small heads compartment, the CC (centre console) version swaps the raised foredeck sunbed for U-shaped seating. However, buyers will have to be extremely keen on this trade because the fine tuning of the back end of the series 2 has produced a versatile cockpit seating area that morphs into three easily swapped forms: a transverse bench seat for two or even three at a pinch; fold down seats outboard that combine with the bench to create a more sociable U-shaped seating and dining area for four; plus an infill that produces a sunbed. And although console on the CC version provides a place for storing the champagne and canapés, the far larger overnight cuddy on the WA version can swallow so much more, even if it never sees a sleeping bag.